Excitement levels within the world of iOS are at an all-time hight thanks to the imminent availability of Apple’s iPhone 6s and iPhone 6s Plus hardware. There’s also the addition of the recently released iOS 9 firmware that has caused a storm by managing to find its way onto approximately 50% of compatible devices already. 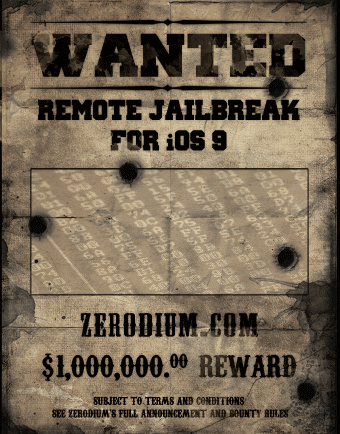 As if interest in the Apple ecosystem wasn’t already at high enough levels, ZERODIUM, the zero-day acquisition platform, has now intensified the spotlight being shone on Apple by putting a $1 million bounty on iOS 9’s head. If ZERODIUM has never crossed into your focus before, then it’s probably because the company operates fairly discreetly in very specialized circles. The cybersecurity firm essentially specialises in identifying and acquiring potential software exploits in popular platforms, and then sells the details to a number of high-spending customers around the world for various reasons. The firm’s out-of-the-blue iOS 9 bounty either insinuates that it believes Apple’s latest iteration of iOS is extremely secure, therefore making the money safe, or perhaps more likely, it has a client willing to pay big for a browser-based untethered jailbreak of iOS 9. Apple iOS, like all operating system, is often affected by critical security vulnerabilities, however due to the increasing number of security improvements and the effectiveness of exploit mitigations in place, Apple’s iOS is currently the most secure mobile OS. But don’t be fooled, secure does not mean unbreakable, it just means that iOS has currently the highest cost and complexity of vulnerability exploitation and here’s where the Million Dollar iOS 9 Bug Bounty comes into play. So, if you’re an individual, or part of a team, who has extensive experience in mobile OS security research, or the abilities to find such a bug, then the Million Dollar iOS 9 Bug Bounty offer is clearly worth a look. The firm has promised to pay out $1 million to each person or team who “creates and submits an exclusive, browser-based, and untethered jailbreak for the latest Apple iOS 9 operating system and devices”. Fake. 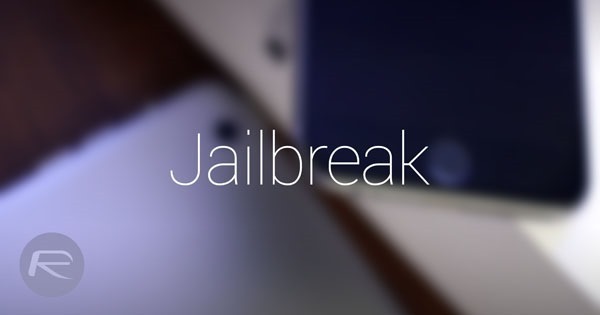 There is a tool on internet that could jailbreak ios9. Just google it. Stop posting FAKE campaigns!! You mean aside from the fact it’s ALREADY been jailbroken? Just not made public? If true, which I doubt, they really didn’t do their homework!!! Quit being a troll. There is no public iOS 9 jailbreak available. Yet Google would somehow reveal it to me? C’mon! There is a public one on youtube. I do it from another approach using an application for that. Still not public. If you’re talking about iH8sn0w’s exploit and verboose booting…it’s not a tool that someone has. The campaign is to find an exploit through the browser and silently running in the background. Just stop…really. You’re embarrassing yourself. Seems you are confusing, iH8sn0w’s exploit is another stuff. I use a more professional approach, i have been rooting all iphones since ios3 with this method. It is NOT public. I believe you droopyar that you have found a way. Since you already made a jailbreak maybe there is a way you may be able to make it public, just focus on that and not let these people tell you that you are wrong. I believe you have made a jailbreak but just focus on making it public. Zerodium is fake, i send them details and nobody replies. Completely FAKE offer from a company. If you want the jailbreak contact me. Takes 20 seconds, NO computer needed, you have root, and no lost of contacts photos, etc. It is private. Hi. Do you have a jailbreak for 9.0.2? iphone 5? Please tell me and my daughter will be very happy if it works. coul you please provide more details ?